Your request will be acknowledged and in the next few days your Registration will be confirmed and access will be given to the Members’ Page. 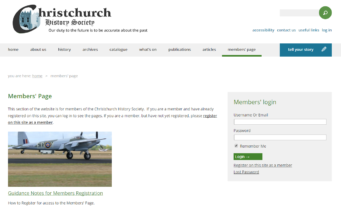 The General Data Protection Regulation 2018 – The following statement applies exclusively to the Website and is completely independent of the Membership List and other Lists held by the Christchurch History Society. 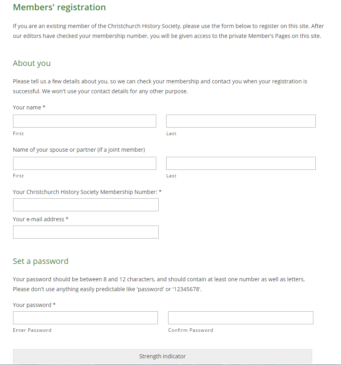 When applying for Registration to gain access to the Member’s Page of the Website, Members will be asked to give consent to all of the data that they provide (Names, Email Address, Christchurch History Society Membership Number and Password [which is encrypted by the website programme so it cannot be read by anyone]) being held under security by the website. No other data is held by the website. 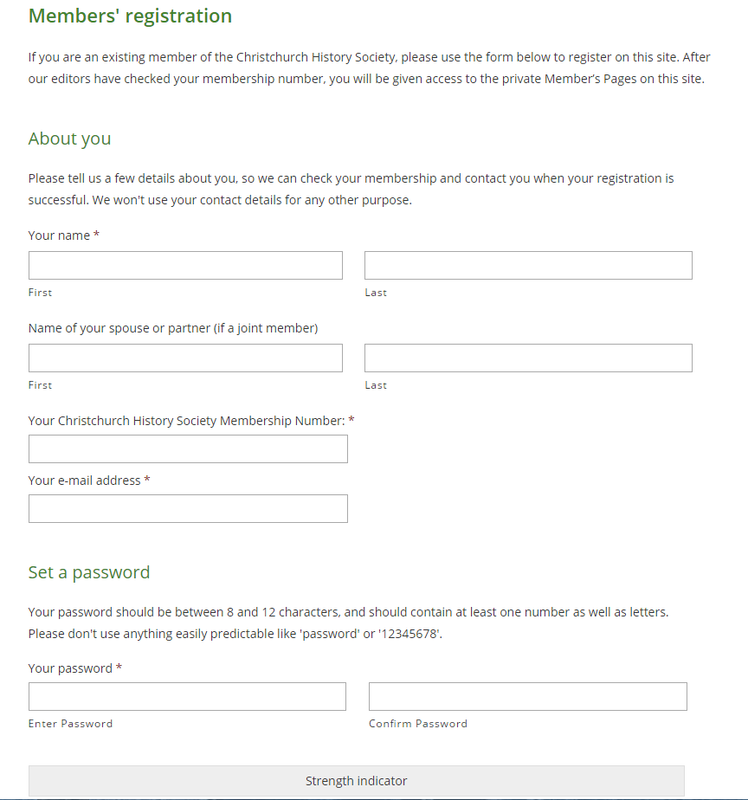 Upon request to admin@historychristchurch.org.uk you can view the data held or request that your data be removed and your Registration terminated. The data will be used only for the Member’s Page Registration and will be kept for that purpose and not disclosed for any purpose connected with the running of the Society and also will not be passed on to any other persons(s) within or outside of Christchurch History Society or any third party organisations. This is a fundamental requirement of the maintenance of the website security. Should you not renew your Membership by 31st October in each year then your Registration will be cancelled and access to the Member’s Page be terminated.